Continuing throughout 2017, Fluke is running a series of free, scheduled, CPD-accredited webinars. 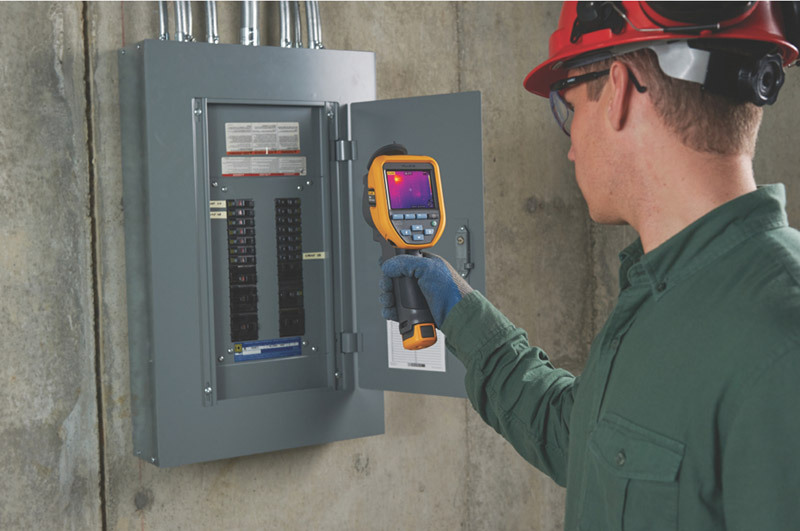 The Fluke CPD-accredited webinars cover ‘Detecting Electrical Energy Loss Using Thermal Imaging’ (suitable for Electricians, Electrical Contractors, Electrical Engineers, Plant Maintenance Facility Managers, and Energy Managers); and ‘Power Quality – The Good, The Bad and How to Measure’ (suitable for Electrical Engineers, Plant Maintenance Facility Managers, and Energy Managers). The repeated schedule of dates and the means to apply can be found at: www.flukeacademy.shuttlepod.org/UK-Seminars. The ‘Detecting Electrical Energy Loss Using Thermal Imaging’ webinars focus on the use of thermal imagers to detect electrical energy loss. The content covers fault finding in electrical equipment such as cables, connections, fuses, breakers, transformers, motors, etc., which can be associated with abnormal electrical energy losses. During the webcast, participants will gain a good introduction to the possibilities of using thermal imagers to find faults in loaded electrical equipment without disturbing production. The webinars are not intended as a full training package and are suitable for personnel with entry-level to intermediate knowledge of thermal imaging. The ‘Power Quality – The Good, The Bad and How to Measure’ webinars will look at what power quality is and what it looks like in real situations. Included is a brief overview of some regulations and norms attached to that quality. The webinar focuses on measurement of the relevant parameters, what needs to be measured, with which type of instrument and for how long. The most important step then is correlating the measurements taken to the symptoms and anomalies of power quality. During the webinar, participants will gain an understanding of the implications of poor power quality and how to measure and identify power quality parameters effectively. Next : Martindale | Are You PAT Trained?